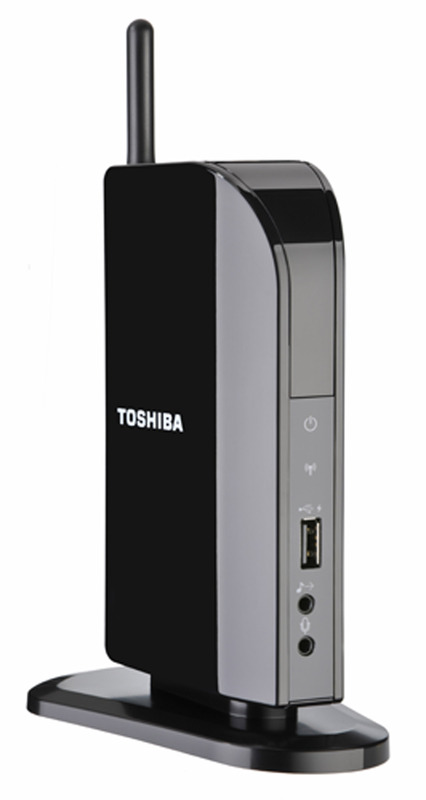 Toshiba Europe announces its new Wireless USB Port Replicator DYNADOCK W20 with wireless USB technology, which will be available during third quarter of 2010 throughout Europe, Middle East and Africa. 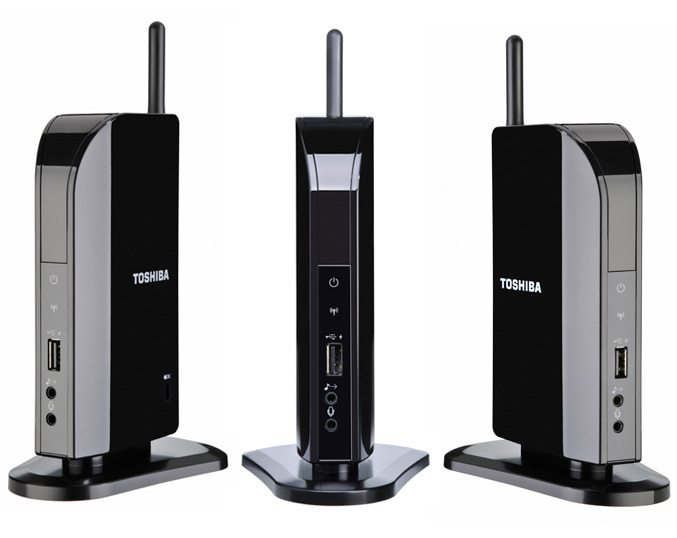 The DYNADOCK W20 has a compact glossy black enclosure, which measures 110 mm x 86 mm x 145 mm, weights 285 grams and thanks to Wireless USB, the docking station connects to all current Toshiba laptops and most notebooks made by other manufacturers. 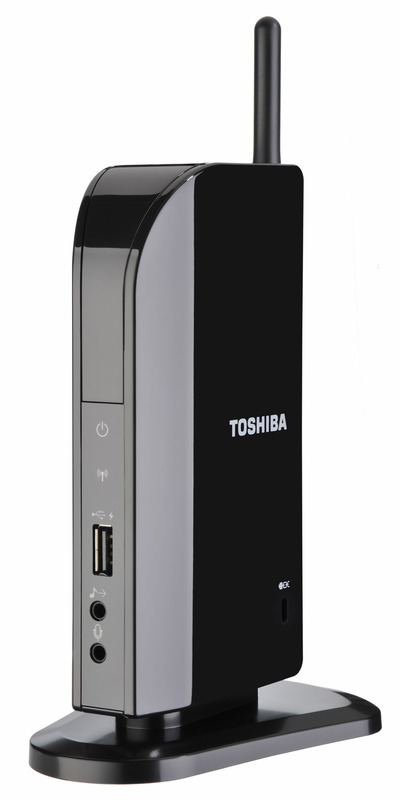 It allows you to use up to 3 monitors at once, supports up to 1920 x 1080 screen resolution, has a DVI-I out, analog audio line out, microphone input, packs four USB 2.0 ports – three at the rear side and one at the front side and offers USB sleep and charge port to charge mobile devices.